Collectively, we deliver an impactful conference experience that inspires and empowers organizations to implement strategies for purposeful communities, businesses, and growth. It doesn't stop on October 12th. Accountability and action are built in to the program and ideas that come out of the Cause Conference will be highlighted on our website, in our blog, and on our social media channels in the months that follow. We’re elevating the community collectively. Some of San Diego’s finest mission-driven organizations have joined forces to co-create and co-curate our program and activities. Combined with their expertise and participation, you can expect one the most impactful event experiences to date. Rally the team. Reignite the passion behind your organization’s purpose in the community. Corporate groups of 5+, nonprofits, and students save up to 40%. 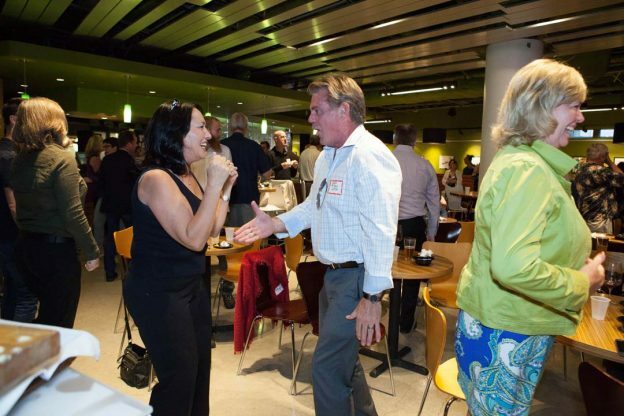 You’ll make many new friends and open new doors to innovative partnerships at #CauseSD, Oct 12. We inspire purpose & empower action. We are the intersection of cause and commerce, where business and community thrive, where profitability and bottom line meet sustainability and humanitarianism. By doing good for others, we do good for ourselves. And by becoming a community, we all thrive.